Mathematics is ever-present in all our lives. From the Internet to predicting the weather to space travel - all these things are possible because of mathematics. It is the language of science and a far-reaching discipline. Our mathematics courses are highly flexible to reflect the wide range of topics the subject encompasses. In your first year, you’ll gain a solid grounding in the major branches of mathematics, including calculus, algebra, statistics and mechanics. Having established the areas that most interest you in your first year, you’ll have a huge amount of choice in the years that follow. Modules are available in topics as diverse as fluid dynamics, environmental statistics, coding theory, and groups and symmetry. You can specialise in a particular area of mathematics according to your interests or aspirations, or retain a broad set of interests and explore several different areas. We offer two degree options: the MMath, BSc, a four-year integrated Masters degree, and the BSc, which is a three-year course. The MMath, BSc degree is particularly suitable for students wishing to work closer to the frontiers of research, or to use mathematics at a higher level in their career. If you don’t yet know which programme would best suit you, it is recommended to apply for the MMath, BSc degree, as you can opt to transfer to the BSc later. This course offers you the opportunity to spend a year working in industry or studying at a university abroad, both of which provide valuable experience and help your personal development. In the BSc course, these options add an additional year to your degree. Certain options can receive Royal Statistical Society accreditation and others can receive exemptions from the Institute of Actuaries. The first year of your course will introduce you to the main branches of mathematics. You’ll develop a solid understanding of these core areas, which will provide you with the necessary background knowledge you require to explore more advanced topics later in your programme. The wide range of subjects you will explore at this stage allows you to define what areas of mathematics really interest you. In your second year, you’ll have more freedom to choose and will be able to start specialising, with at least half (60 credits) of your programme being made up of optional modules. You’ll study compulsory modules in analysis, groups and vector spaces, vector calculus, and linear differential equations and transforms. Module options are available to you in areas including mathematical logic, computational mathematics, statistical methods, survival analysis, and more. In your third year, the majority of your study will be in advanced optional modules. You’ll have complete control over which modules you study, provided you meet the module’s prerequisites. You could specialise in pure mathematics, applied mathematics, or statistics, or choose modules across the spectrum of subjects. You’ll also have a final year project, for which you’ll receive research skills training and carry out independent research. There are several topics that your project can relate to and you’ll be able to choose a topic which interests you. In each year of this degree, up to one sixth of your study (20 credits) can be dedicated to discovery modules - modules taught by Schools across the University that allow you to broaden your learning. Provided they don’t clash with your timetable, you can choose modules in areas such as art, business, education, environment, history, languages, law, music, philosophy, psychology, and more. Our academic staff have extensive research interests, which is why we are able to offer such a wide choice of up-to-date module options. You will graduate as a multi-skilled mathematician, perhaps with particular expertise in an area of interest or with the training necessary to work in a particular industry. You’ll be taught through lectures, tutorials, workshops and practical classes. You’ll enjoy extensive tutorial support and have freedom in your workload and options. The School of Mathematics offers a variety of welcoming spaces to study and socialise with your fellow students. There’s a café, social and group study areas, a library and a seminar room, as well as a Research Visitors Centre and a Mathematics Active Learning Lab. You’re assessed through a range of methods, including formal exams and in-course assessment. AAB/A*BB including Further Mathematics and where the first grade quoted is Mathematics, or AAB/A*BB where the first grade quoted is in Mathematics plus A in AS Further Mathematics. GCSE: You must also have GCSE English at grade C (4) or above (or equivalent). Normally only accepted in combination with grade A in A Level Mathematics or equivalent. D3/D3/M1 or D2/M1/M1. If further mathematics is being taken we ask for D3/M1/M1 or D2/M1/M2. We also welcome applications from students on the Northern Consortium UK International Foundation Year programme, the University of Leeds International Foundation Year, and other foundation years with a high mathematical content. Read more on the School Foundation year programmes page. We accept a range of international equivalent qualifications. For more information please contact the School of Mathematics Admissions Team. IELTS 6.0 overall, with no less than 5.5 in any one component, or IELTS 6.5 overall, with no less than 6.0 in any one component, depending on other qualifications present. For other English qualifications, read English language equivalent qualifications. Suitable applicants will be invited to an applicant day, which is not mandatory, but for which we strongly encourage attendance, as this gives you the opportunity to meet our staff and students, explore the School and University and find out more about your course. If you have non-standard qualifications, or when there is no evidence of recent mathematical study, a 30-minute interview and/or a 90-minute test covering the core A-level Mathematics syllabus may be part of the selection procedure. This is to ensure that the course is suitable for you and that your current studies have prepared you for the curriculum at Leeds. If you are unable to attend, a telephone or Skype interview may be arranged. For further information, read our admissions policy. The School of Mathematics offers a range of scholarships for Home, EU and International students. A mathematics degree can take you down many career paths into some of the highest paid and most satisfying roles in employment. 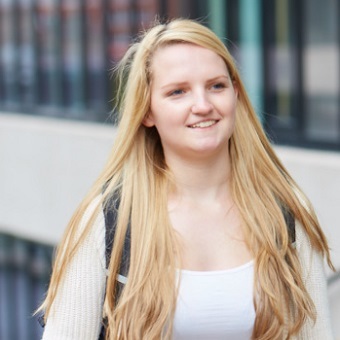 The University of Leeds is in the top ten most targeted universities in the UK by graduate recruiters, according to High Fliers’ The Graduate Market in 2019 report. In virtually all areas of life, mathematical skills are highly valued. The numerical, analytical and problem solving skills you will develop, as well as your specialist subject knowledge and your ability to think logically, are highly valued across sectors, including financial services, IT, software design, data analysis, engineering, and teaching. This course also allows you to develop the transferable skills that employers seek. Due to higher level learning you will do on this integrated Masters course, you will also be well-positioned to progress onto a research degree. We teach problem-solving and high level thinking at all stages of your degree. We also provide modules that are specifically designed to boost your employability. The second year module “maths at work” engages you in group-based project. At the start of the module, you’ll undertake a skills audit, then prepare a CV, research a company for a mock interview, and participate in an interview workshop. Depending on the nature of your specific project, you may produce a report for a client or deliver a piece of software or webpage. Throughout the module, you’ll develop team work, communication, and presentation skills. If you’re considering a career in teaching, you can gain experience of working in a local school or college through our “mathematics into schools” module. You’ll prepare teaching materials, deliver mathematics activities through lessons or a club, and organise a mathematics-based project that shows students how exciting the subject can be. On this course, your year abroad adds an additional year to your studies. During your year abroad, you will study mathematics at your host institution. The industrial placement (“Year in Industry”) scheme provides you with the opportunity to experience salaried work before you graduate. Employers actively seek graduates who already have work experience and it can make all the difference in interviews.